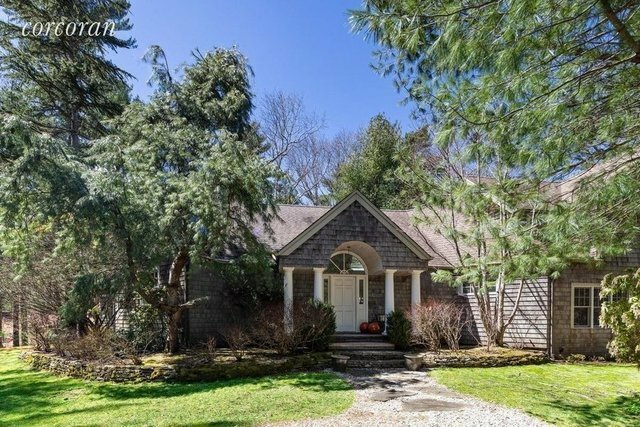 .Cool Mexican tile floors welcome you into this perfect summer offering set within 1.6 acres in East Hampton nearby northwest amidst the sheltering Pines. An open floor plan invites all to enjoy the sunken living room, complete open kitchen and dining area. A separate Adirondack inspired den/media sun-room. There are 3 first floor guest bedrooms, each with their own baths plus a powder room; while the oversized master suite reigns supreme on the second floor. Outside the expansive decking overlooks the beautifully landscaped grounds that frame the heated pool and separate hot tub.